Pancakes are fun to make and great to eat all year round – not just on Pancake Day! Here’s a foolproof pancake batter recipe which doesn’t include sugar. Try a filling of cheese and ham to make savoury crepes – or spread with honey, chocolate spread or classic lemon and sugar for a sweet treat. This batter recipe will make crepe style pancakes. Just add less milk if you prefer thicker pancakes. Add the eggs to the flour. Add the salt and oil. Add half of the milk and whisk to get a smooth thick batter. Thin the batter down with the remainder of the milk. Melt a little butter in a non-stick frying pan and add a ladle full of the pancake batter. Swirl the mix until it covers the bottom of the pan completely. When the top of the pancake starts to set and air bubbles appear, flip the pancake over. When golden on both sides, fill with your favourite topping and serve. 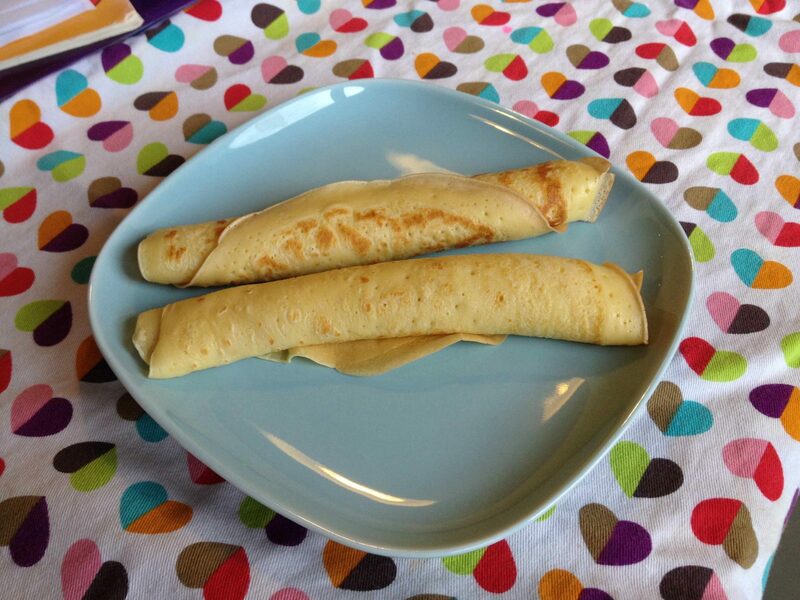 Fancy the fluffy American style pancakes, we’ve got a recipe for them too.